A compact handy pack of scissors, torch, tools etc. 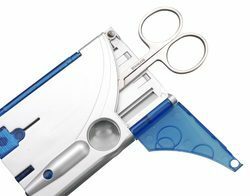 Owing to our wide experience, we have been proficient in providing to the requirements of the esteemed consumers by providing quality Deluxe Card Tool Kit. The products are suitable to use and best in quality. Moreover, these products are highly applauded and credited in the market. 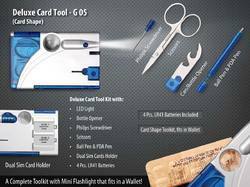 A complete toolkit and a flashlight that fits in a wallet!